And with the addition of The Horn the final piece is in place. After three months of repairs and several days in the garage poking and prodding the KLR, my preparations are complete. 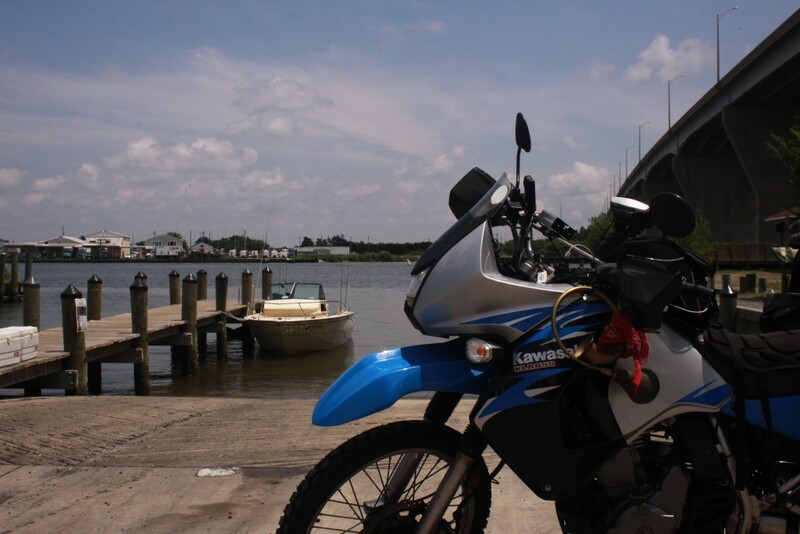 My dad’s KLR, the bike that dragged him kicking and screaming out of the garage and onto the trail, is ready to head out on another adventure. It feels good to have sweated out a few pounds in his garage getting ready for the trip. I never did have his gift for mechanical tinkering, but after these couple of days I feel like I would have done him proud with my remedial wrenching skills. Today I head out of his driveway; wave goodbye to his wife Helena, along with Murray (Merman) and Gracie the home’s feline guardians. I will intend on being on time, but of course I will leave late, because that’s what he would have done. I will stop and take pictures because that’s what we both did when we rode together. I will ride through Maryland because that is where he was raised. I will think of my 97 year old war veteran grandfather who passed away just months after my dad’s accident as I pass through. I will seek out packets of Smucker’s Marmalade Jelly when I stop in roadside cafes, just like he did. I will head to Deal’s Gap and join the throngs of motorcycle-tourists for a spin on the Dragon’s Tail—just like dad did a couple of years before. (I was so envious of him riding the Tail before me.) 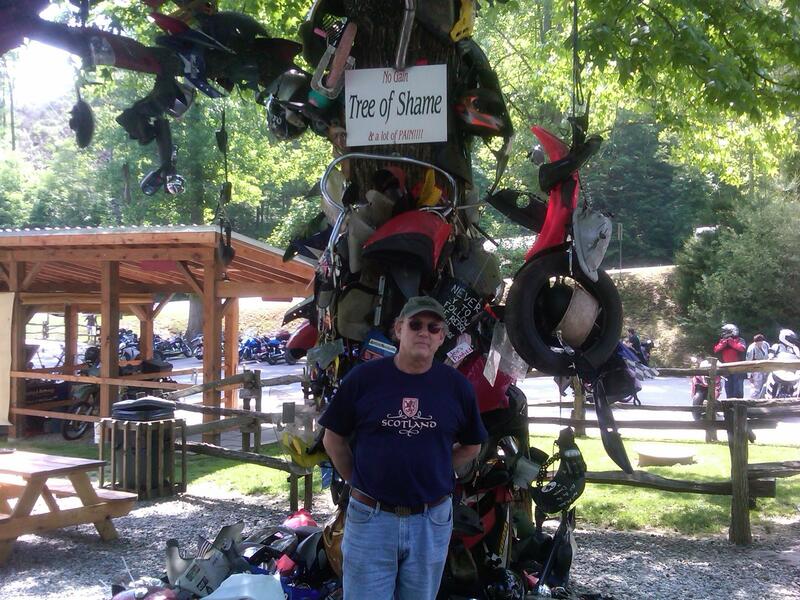 I will stop for my picture at the Tree of Shame, just like he did. I will roll into Maggie Valley and swap road stories with fellow motorcycle riders. And above all else—I will keep on riding. Because, that’s what I do!